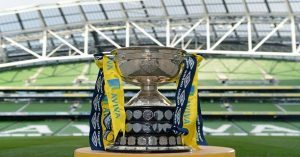 Dundalk advanced to the last four of the Irish Daily Mail FAI Cup at the expense of Limerick FC at the Markets Field on Friday night. 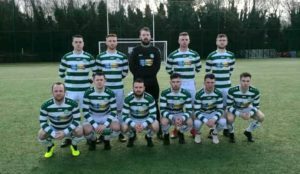 First half goals from Pat Hoban (x2) and John Moutney followed by a second half strike from substitute Georgie Kelly ensured that the Lilywhites advanced to the semi final for the fourth time in a row. Limerick manager Tommy Barrett selected the same team who performed so well against Dundalk in the league meeting just seven days ago. Dundalk made four changes as Dane Massey, John Moutney, Patrick McEleney and Ronan Murray replaced Chris Shields, Dean Jarvis, Dylan Connolly and Jamie McGrath. Unlike last week, Dundalk made a fast start and opened the scoring after five minutes as Michael Duffy set Ronan Murray away on the left and the former Galway man squared the ball for Patrick Hoban to tap into an empty net. Moments later, Hoban went close to doubling Dundalk’s lead as he headed just wide from a Duffy cross. 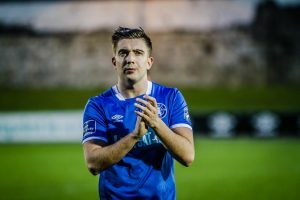 The opening 15 minutes were owned by Dundalk and Sean Gannon’s dangerous cross was headed wide by Michael Duffy from the left. Shortly after, the Lilywhites made their dominance count as Pat Hoban rose above Killian Brouder to power a header past Tommy Holland. Ronan Murray was the next to try his luck for the visitors as he cut insde the challenge of Colman Kennedy but Holland tipped the effort around the post. Brian Gartland came close from the subsequent corner. Dundalk extended their lead further as Dane Massey powered past Darren Murphy before unselfishly squaring the ball to John Moutney to slot into an empty net. Michael Duffy was giving Darren Murphy a torrid time at right-back and it was the former Celtic man who set up Ronan Murray whose shot was saved by the legs of Tommy Holland. The ball ricocheted back to Hoban but the striker couldn’t direct the rebound on target with the goal gaping. As we approached half time, Duffy again used his pace to beat Murphy before lofting a cross towards Hoban but Holland pulled off a superb save to deny the striker. It proved to be the last action of a miserable half for Limerick. 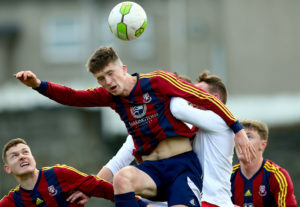 Stephen Kenny’s men created the first chance of the second half as Gartland powered a header over the bar from a Duffy cross. The visitors star man Duffy accelerated past Murphy before crossing in the direction of Hoban. Hoban was forced to retrieve possession before setting up Ronan Murray in the box but his wayward shot failed to trouble Holland. 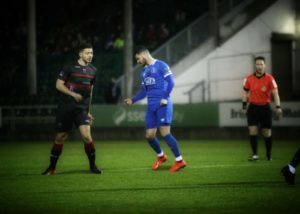 As the game approached the hour mark, Karl O’Sullivan had Limerick’s first shot on target but it was easily gathered by Gary Rogers. Dundalk added a fourth as a strong run from Gartland ended in the centre-back setting up substitute Georgie Kelly who finished emphatically to the net from just inside the box. 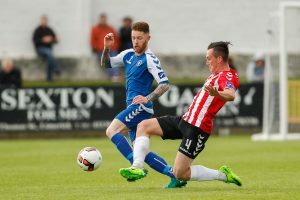 Limerick forced a number of corners and could have pulled a goal back on two occasions. Firstly, Colman Kennedy’s header was tipped over by Gary Rogers before Rogers was called into action once more to make an acrobatic save as Barry Maguire steered his header towards goal. 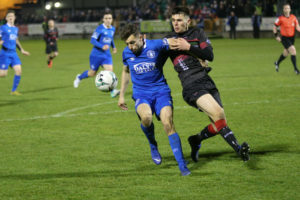 The home side almost pulled a goal back as a dangerous Billy Dennehy cross caused problems and Brian Gartland’s clearing header hit the post and went behind for a corner which was easily dealt with. The lively Michael Duffy had the last chance of the game as he placed a shot straight at Holland. 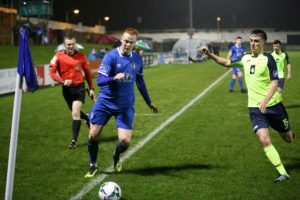 Stephen Kenny’s men reached their fourth consecutive FAI Cup semi-final as Limerick bowed out at the quarter final stage. Limerick are back to league action next week as they face a tough test against Shamrock Rovers in Tallaght.